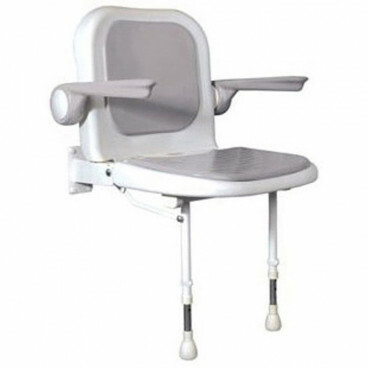 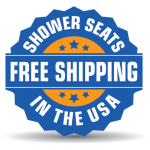 Shower chairs have a sturdy, stainless steel frame with a padded gray seat on top. Two height adjustable legs easily fold up and down with the seat and can support up to 558 lbs. 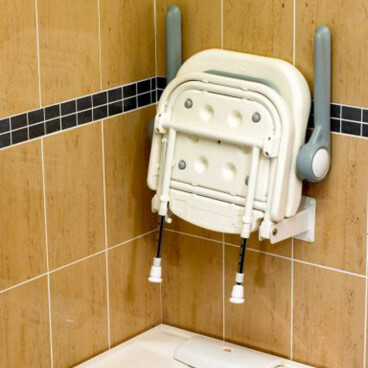 In addition, shower chair arms offer support up to 122 lbs., so bathers can feel safe and comfortable in the shower.